Manufactured from 100% post-industrial materials, the textured recycled rubber surface on these tackboards stands up to heavy use. Their fade-resistant, stain-resistant surfaces are also self-healing — so they won’t show pinholes no matter how much you tack to them! Ghent Recycled Rubber Tackboards are available in eight sizes, each featuring an anodized satin aluminum frame. 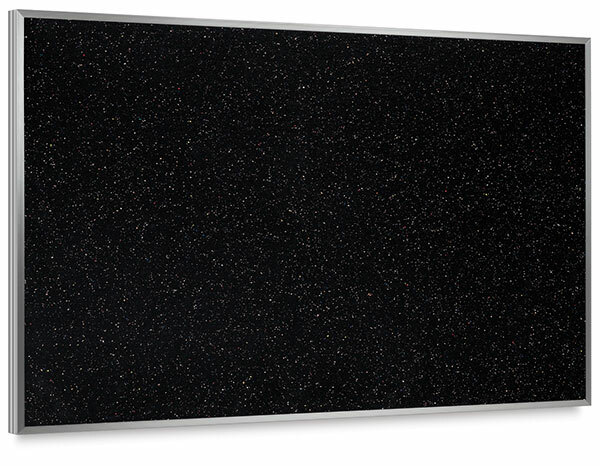 The tackboard surface is available in three colors — Black, Confetti, or Tan Speckled.